The Honda CB250RS is a 250 cc motorcycle designed for road use. It was produced until the mid-1980s. It has a high-compression four-stroke, four-valve, air-cooled, single-cylinder engine, which was an upgrade of the engine built for the earlier XL250S trail bike. The RS is known for its slim build, with a dry weight of only 128 kg, and nimble handling. The engine featured counter rotating balancers, which reduced vibration and allowed a lighter frame. Further weight savings were achieved by making the engine a stressed component. 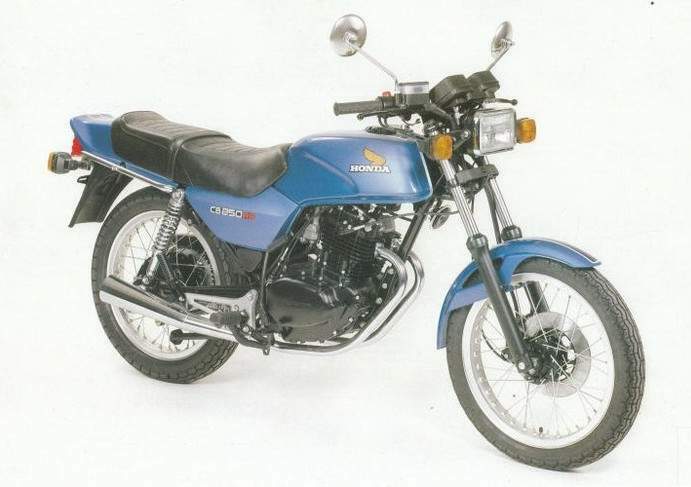 Early models were kick-started (with an automatic decompression lever), while later Deluxe models (designated RS-D / RSZ) came with electric start and different paintwork. The bike has a front disc brake and rear drum brake, and while it had only a single cylinder, it had twin exhausts; one for each port. The engine generates modest power and achieves a top speed of around 136 km/h or 84 mph. Early models produced a claimed 26 hp, while later models claimed 33 hp. It claimed fuel efficiency of up to 70 mpg (3.4 L/100 km). Known issues include failed ignition coils and CDIs. Lack of battery cranking power can be an issue with the RS-D if an inadequate replacement battery is fitted. Fashion moves in circles in the motor cycling world: the single-cylinder, a staple offering pre-1960 from leading manufacturers, has been resurrected in recent years by the Japanese, who once had little time for anything less complicated than an ohc, preferably dohc, twin. 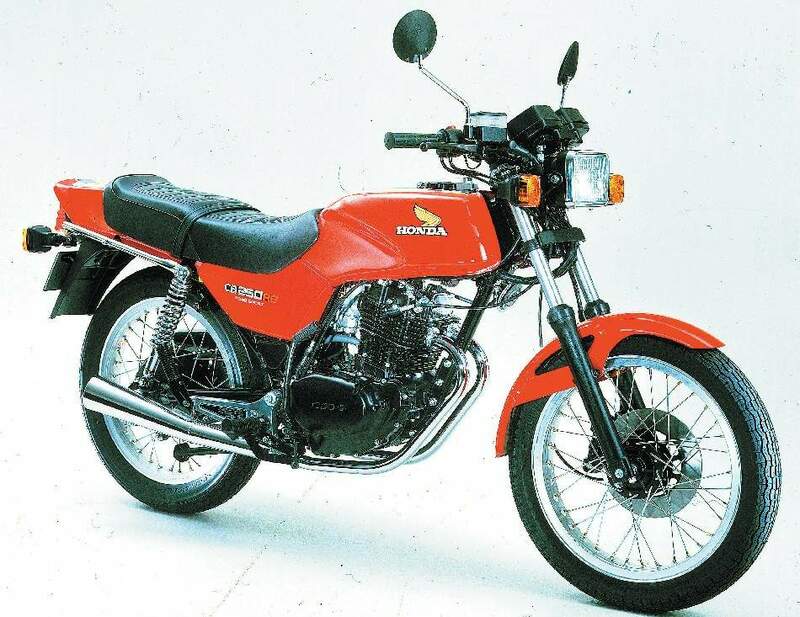 Honda with their XL trail bikes of the 1970s were the first of the Big Four to market an overhead-valve single in the West. In 1980 they repeated, probably unwittingly, a precedent laid down a half-century earlier by British manufacturers, who were then in the habit of dressing up their singles with twin exhaust ports, pipes and silencers. The XL250 had twin ports, and pipes, but only one silencer: what Honda did, when it came to making an RS out of an XL, was to lead the pipes into separate silencers with 'megaphone' outlets, treat the engine and cases to a matt-black finish, and make use of a low, light frame. 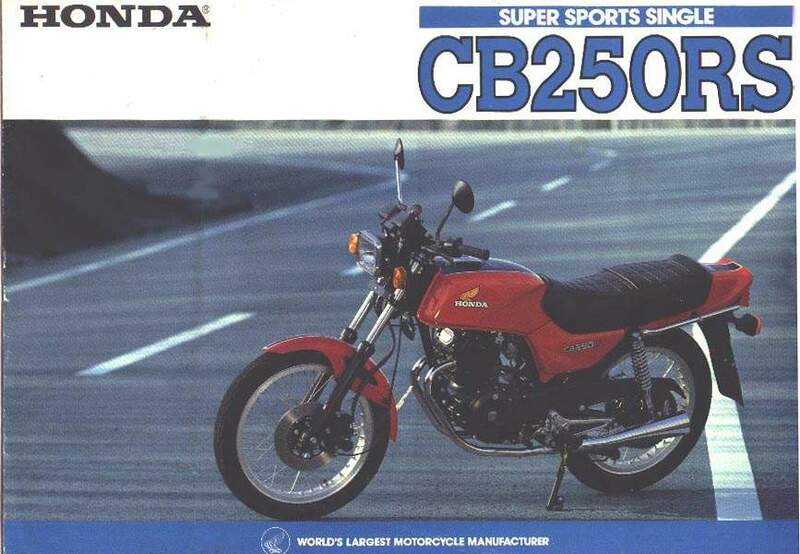 The result, the keenly priced CB250RS, was a considerable success in its first two years and looked set to be an even better seller in 1982, when it acquired an electric starter. Honda's single, having a four-valve layout, was a reasonable candidate for double exhausts; with one valve per pipe, there was even some technical merit in the arrangement, whereas the pre-war British single usually had but one exhaust valve, and thus changing to twin ports was on the whole a purely cosmetic improvement. The RS engine was fitted with counter-rotating weights, driven by chain, to dampen vibration, an automatic chain-tensioner, and a larger carburettor (compared with the XL), at 30mm instead of 28mm. With aluminium but wire-spoked wheels and a front disc brake, and weighing no more than 300 lb, the RS handled well and had a surprising turn of speed — to beyond 90mph in favourable conditions. Ironically, riding it recalled for anybody with the relevant experience one of those BSA-group 250s summarily brushed aside by the all-conquering Japanese in the 1960s.